You have only 90 moves. This level have normal difficulty and you need to use good strategy to complete this level. For this level you should try to play from the bottom and break the grills. 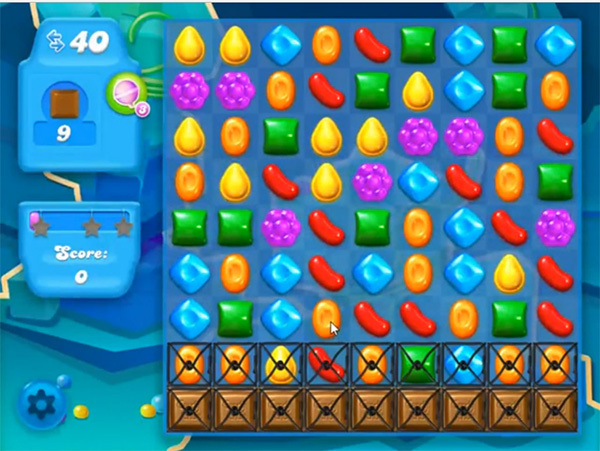 Use fish that you could make by making two rows and columns square and combine with striped candy that you could get by combining four same color candies. That will help to break the grills and eat chocolate within less moves to complete this level easily.